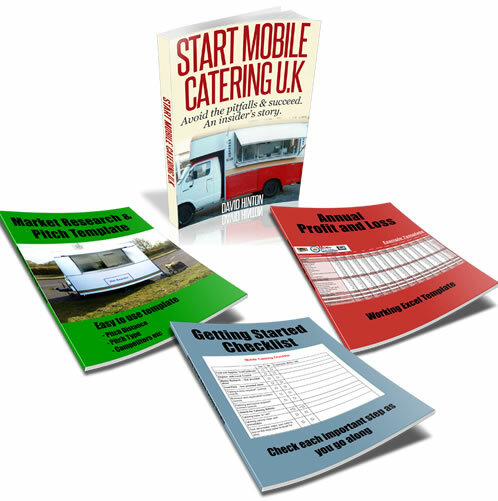 Thank you for the mobile catering articles which you have posted to share the knowledge and experience. I am the one who wants to run such a business but I still have lots to ask myself. I never get any positive response from any company I applied for. I determined to have my own small business which is flexible as I have a little son to look after. I have searched and looked up for the article to light my idea up and give me a starting point. I am glad that I came across your article. I hope I would have a good chance in this business like you here in Gold Coast Queensland Australia. Here there are lots of certified and licenses to get. I am now doing Food safety Supervisor course as required by government for the one who run the business. Next step is to survey the potential area i can trade. I don't expect a big one just market or stalls to start of and see how myself goes. It seems like almost more than half way to go for me. I am very happy to hear that you are on your way to starting your own catering business and congratulate you.Where ever you are in the world it's more or less the same principle for a catering business. Find a location or a gap in the market where people need good food, provide tasty options within a clean environment, and offer a friendly service and your on your way.I wish you the best of luck with your exciting journey in the beautiful land of OZ. Please do let me know how things work out and contact me anytime.